As recreational vehicles, boats, and other "big toys" have grown in size, standard pick up trucks have increasingly become unable to handle the load. 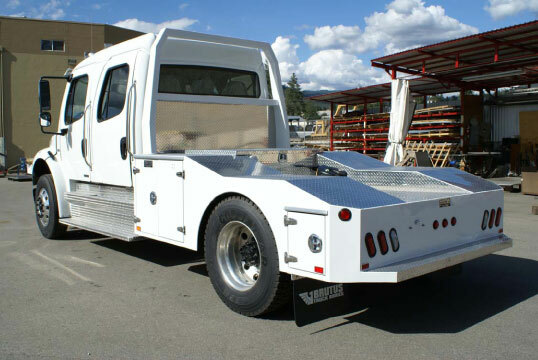 Brutus Truck Bodies has responded by providing custom-built tow bodies for virtually any size chassis from dually pickups to medium duty trucks. You can choose from one of the many designs we have already built or we can help you come up something entirely new, the possibilities are only limited by your imagination.